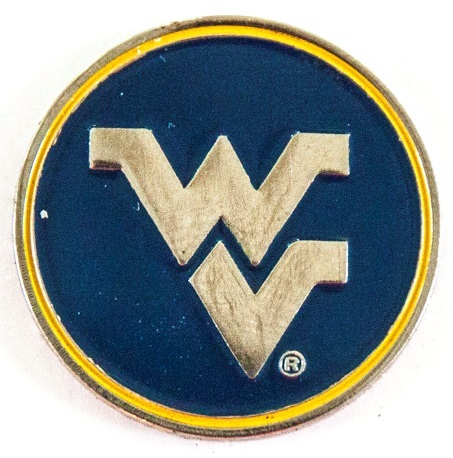 MORGANTOWN, W. Va. (October 6, 2015) – Freshman Max Sear tied for the runner-up spot as the West Virginia University golf team took sixth place at the Wolfpack Intercollegiate on Tuesday. The event, hosted by N.C. State, was played at the Lonnie Poole Golf Course in Raleigh, North Carolina. The Mountaineers entered the second and final day of the event in first place, but finished nine over on the day to take sixth. They finished with a team score of 289-293=582 for 14 over par. Augusta took home the team title with a score of 573 for five over par, while UNCG and N.C. State tied for second with scores of 575 for seven over. Sear, who entered the day in first place at three under, finished even par with a 71 in the second round. He matched a trio of birdies with a trio of bogeys on the back nine, finishing with a two-round score of 68-71=139 for three under par. He was three strokes off the leader, Augusta’s Robin Petersson, who took top honors with a 136 (-6). Teammate Avery Schneider also recorded a top-20 finish, tying for 13th place with a score of 70-74=144 for two over. Schneider entered the round in the top-10, but finished three strokes over par on the ninth hole to drop to 13th. Easton Renwick posted his second top-20 finish of the season, finishing tied for 18th overall. Renwick had three birdies and four bogeys in the second round to finish one over par with a 72. His second-round score put him at three over in the tournament with a score of 73-72=145. Chris Williams finished tied for 69th place, carding a score of 78-77=155 (+13). Tae Wan Lee ended the day in a tie for 89th place, shooting 84-76=160 (+18). Playing as an individual, Alan Cooke finished the tournament ten over par and tied for 60th place. He shot three over in the second round, finishing with a 36-hole score of 78-74=152. WVU Golf returns home to host the inaugural Mountaineer Intercollegiate on October 19 and 20. The Mountaineers will host the event at Pete Dye Golf Club in Bridgeport.